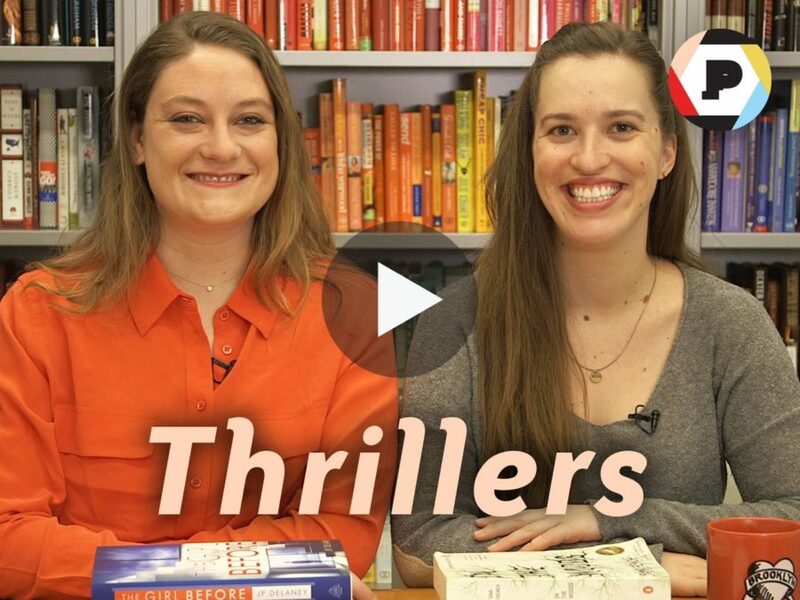 RIF editors and future YouTube stars, Emma and Abbe, pick six thrillers that kept them up at night. If there’s one genre we love above all others (though please don’t make us definitively choose), it’s thrillers. Psychological thrillers, crime thrillers, conspiracy thrillers—we aren’t picky when it comes to the sub-genre—we’ll devour any heart-pumping mystery you set in front of us. The landscape is a crowded place, however; how do you know if a thriller’s twist is going to be twisty enough, or if the protagonist will be likable enough to root for? Allow us to help. We’ve picked six favorite thrillers that we’ve enjoyed recently and we want you to know about. Pick up one or two, and don’t forget to lock all the windows and doors before cracking the cover! What are some of your favorite thrillers? Which ones should we read? Let us know in the comments below and you may see your suggestion in a future episode of Six Picks!